For other uses, see The Great Game (disambiguation). "The Great Game" was a political and diplomatic confrontation that existed for most of the 19th century between the British Empire and the Russian Empire over Afghanistan and neighbouring territories in Central and Southern Asia. Russia was fearful of British commercial and military inroads into Central Asia, and Britain was fearful of Russia adding "the jewel in the crown", India, to the vast empire that Russia was building in Asia. This resulted in an atmosphere of distrust and the constant threat of war between the two empires. Britain made it a high priority to protect all the approaches to India, and the "great game" is primarily how the British did this in terms of a possible Russian threat. Historians with access to the archives have concluded that Russia had no plans involving India, as the Russians repeatedly stated. The Great Game began on 12 January 1830 when Lord Ellenborough, the President of the Board of Control for India, tasked Lord William Bentinck, the Governor-General, to establish a new trade route to the Emirate of Bukhara. Britain intended to gain control over the Emirate of Afghanistan and make it a protectorate, and to use the Ottoman Empire, the Persian Empire, the Khanate of Khiva, and the Emirate of Bukhara as buffer states between both empires. This would protect India and also key British sea trade routes by stopping Russia from gaining a port on the Persian Gulf or the Indian Ocean. Russia proposed Afghanistan as the neutral zone. The results included the failed First Anglo-Afghan War of 1838, the First Anglo-Sikh War of 1845, the Second Anglo-Sikh War of 1848, the Second Anglo-Afghan War of 1878, and the annexation of Khiva, Bukhara, and Kokand by Russia. Historians consider the end of the Great Game to be 10 September 1895 signing of the Pamir Boundary Commission protocols, when the border between Afghanistan and the Russian empire was defined. :p14 The 1901 novel Kim by Rudyard Kipling made the term popular and introduced the new implication of great power rivalry. It became even more popular after the 1979 advent of the Soviet–Afghan War. The term "the Great Game" was used well before the 19th century and was associated with games of risk, such as cards and dice. The French equivalent Le grand jeu dates back to at least 1585 and is associated with meanings of risk, chance and deception. If the British Government would only play the grand game — help Russia cordially to all that she has a right to expect — shake hands with Persia — get her all possible amends from Oosbegs — force the Bukhara Amir to be just to us, the Afghans, and other Oosbeg states, and his own kingdom — but why go on; you know my, at any rate in one sense, enlarged views. InshAllah! The expediency, nay the necessity of them will be seen, and we shall play the noble part that the first Christian nation of the world ought to fill. It was introduced into mainstream by the British novelist Rudyard Kipling in his novel Kim (1901). It was first used academically by Professor H.W.C. Davis in a presentation titled The Great Game in Asia (1800-1844) on 10 November 1926. The use of the term "The Great Game" to describe Anglo-Russian rivalry in Central Asia became common only after the Second World War. 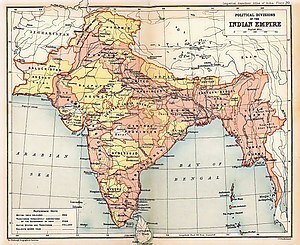 At the start of the 19th century, the Indian subcontinent was ruled in part by independent princely states and in part by the company rule of the British East India Company. During the 19th century a political and diplomatic confrontation developed between Britain and Russia over Afghanistan which later became known as "The Great Game". Russia was fearful of British commercial and military inroads into Central Asia, and Britain was fearful of Russia adding the "jewel in the crown", India, to the vast empire that Russia was building in Asia. This resulted in an atmosphere of distrust and the constant threat of war between the two empires. If Russia were to gain control of the Emirate of Afghanistan, it might then be used as a staging post for a Russian invasion of India. Napoleon had proposed a joint Franco-Russian invasion of India to his Imperial Majesty Paul I of Russia. In 1801 Paul, fearing a future action by the British against Russia and her allies in Europe, decided to make the first move towards where he believed the British Empire was weakest. He wrote to the Ataman of the Don Cossacks Troops, Cavalry General Vasily Petrovich Orlov, directing him to march to Orenburg, conquer the Central Asian Khanates, and from there invade India. Paul was assassinated in the same year and the invasion was terminated. Napoleon tried to persuade Paul's son, Tsar Alexander I of Russia, to invade India; however Alexander resisted. In 1807, Napoleon dispatched General Claude Matthieu, Count Gardane on a French military mission to Persia, with the intention of persuading Russia to invade India. In response, Britain sent its own diplomatic missions in 1808, with military advisers, to Persia and Afghanistan under the capable Mountstuart Elphinstone, averting the French and possible Russian threat. However, Britain was left with concerns about being able to defend India. 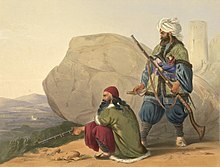 In 1810, Lieutenant Henry Pottinger and Captain Charles Christie undertook an expedition from Nushki (Balochistan) to Isfahan (Central Persia) disguised as Muslims. The expedition was funded by the East India Company and was to map and research the regions of "Beloochistan" (Balochistan) and Persia because of concerns about India being invaded by French forces from that direction. After the disastrous French invasion of Russia in 1812 and the collapse of the French army, the threat of a French invasion through Persia was removed. 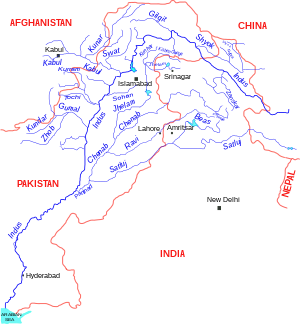 Map of the Indus river basin today. Britain's intended strategy was to use its steam power and the river as a trade route into Central Asia. The Great Game is said to have begun on 12 January 1830 when Lord Ellenborough, the President of the Board of Control for India tasked Lord William Bentinck, the Governor-General of India, to establish a new trade route to Bukhara. Following the Treaty of Turkmenchay 1828 and the Treaty of Adrianople (1829), Britain feared that Persia and Turkey would become protectorates of Russia. This would change Britain's perception of the world, and its response was The Great Game. Britain had no intention of getting involved in the Middle East, but it did envision a series of buffer states between the British and Russian Empires that included Turkey, Persia, plus the Khanate of Khiva and the Khanate of Bukhara that would grow from future trade. Behind these buffer states would be their protected states stretching from the Persian Gulf to India and up into the Emirate of Afghanistan, with British sea-power protecting trade sea-lanes. Access to Afghanistan was to be through developing trade routes along the Indus and Sutlej rivers using steam-powered boats, and therefore access through the Sind and Punjab regions would be required. Persia would have to give up its claim on Herat in Afghanistan. Afghanistan would need to be transformed from a group of warring principalities into one state ruled by an ally whose foreign relations would be conducted on his behalf by the Governor-General and the Foreign Office. The Great Game meant closer ties between Britain and the states along her northwest frontier. Britain believed that it was the world's first free society and the most industrially advanced country, and therefore that it had a duty to use its iron, steam power, and cotton goods to take over Central Asia and develop it. British goods were to be followed by British values and the respect for private property. With pay for work and security in place, nomads would settle and become tribal herdsman surrounding oasis cities. These were to develop into modern states with agreed borders, as in the European model. Therefore, lines needed to be agreed and drawn on maps. Morgan says that two proud and expanding empires approached each other, without any agreed frontier, from opposite directions over a "backward, uncivilized and undeveloped region." In 1557, Bokhara and Khiva sent ambassadors to Ivan IV seeking permission to trade in Russia. Russia had an interest in establishing a trade route from Moscow to India. From then until the mid-19th century, Russian ambassadors to the region spent much of their time trying to free Russians who had been taken as slaves by the khanates. Russia would later expand across Siberia to the Far East, where it reached the Pacific port that would become known as Vladivostok by 1859. This eastward expansion was of no concern to the British Foreign Office because this area did not lie across any British trade routes or destinations, and therefore was of no interest to Britain. Beginning in the 1820s, Russian troops would begin to advance southward from Siberia in search of secure boundaries and reliable neighbors. This advance would not cease until Russia’s frontiers and her sphere of influence were firm in the Central Asia, and this would include Bokhara and Khiva. Between 1824–1854, Russia occupied the entire Kazakh Khanate (modern-day Kazakhstan). This raised Russo-Khivan tensions in addition to Khiva’s legal discrimination of Russian merchants who were just beginning to penetrate Central Asia, and the ongoing issue of Russian slaves. Russia launched an attack in 1839–40 but it failed to reach Khiva because of the tough terrain and weather. However, the khan of Khiva feared a further Russian assault and released a number of Russian slaves. During the 1840s and 1850s, Russia’s aims in Central Asia were for Bukhara and Khiva to refrain from hostile actions against Russia, cease possession of Russian slaves and the granting of asylum to Kazakhs fleeing from Russian justice. Khiva must cease her attacks on caravans along the Syr Darya. Russian merchants must be allowed to trade on the same terms as native merchants in Bukhara and Khiva. The khanates must guarantee the safety of the persons and property of Russian merchants, levy no excessive duties, permit unhampered transit of goods and caravans across Central Asia into neighboring states and allow Russian commercial agents to reside in Bukhara and Khiva, and free navigation on the Amu Darya river for Russian ships. None of these aims were realised. Russia's borders remained insecure and in addition there was growing British influence in the region. In 1869, when Clarendon proposed the Amu Darya river as the basis for a neutral zone between British and Russian spheres of influence, Alexander Gorchakov proposed Afghanistan as the neutral zone. Russia feared the influence that a Muslim power with British support might have on the other khanates in the region. In 1782 George Forster, a civil servant of the East India Company, undertook a journey that began in Calcutta, Bengal and passed through Kashmir, Afghanistan, Herat, Khorassan, Mazanderan, crossed the Caspian Sea by ship, and then travelled to Baku, Astrakhan, Moscow, St Petersburg and then by ship to London. His detailed description of the journey was published in 1798. William Moorcroft was an explorer, doctor, veterinary surgeon, and Superintendent of the East India Company's horse stud. He had an interest in expanding trade in Central Asia, where he thought the Russian traders were already active. In 1820, Moorcroft, George Trebeck and George Guthrie left India for Bukhara to buy Turkoman horses and reached Bukhara in 1825. However, all three died of fever on the return journey. His travels were published in 1841. Charles Masson, formerly of the East India Company, resided in Baluchistan, Afghanistan and the Punjab between 1826 and 1838 and published his travels. In September 1829, Lieutenant Arthur Conolly of the East India Company travelled from St. Petersburg, Russia to the Caspian desert, to Kir (northern Iran), was detained in Astrabad (northern Iran) as a Russian spy, then travelled with a caravan of pilgrims to Meshed, marched with the Afghan army from there to Herat, then traveled to Kandahar, to Quetta, then across the Indian desert to the British frontier in January 1831. He published his travels in 1834. However, after 1830, Britain's commercial and diplomatic interest to the north-west would eventually become formidable. In 1831, Captain Alexander Burnes and Colonel Henry Pottinger's surveys of the Indus river would prepare the way for a future assault on the Sind to clear a path towards Central Asia. Burnes embarked on a dangerous 12-month journey beginning in 1831 into Afghanistan and through the Hindu Kush to Bukhara, returning in 1832. Burnes, a Christian travelling through a Muslim country was one of the first to study Afghanistan for British Intelligence and upon his return, he published his book, Travels To Bukhara, which became an overnight success in 1834. Between 1832 and 1834, Britain attempted to negotiate trade agreements with Ranjit Singh, ruler of the Sikh empire, and the Amirs of Sindh. However, these attempts were unsuccessful. to watch more closely than has hitherto been attempted the progress of events in Afghanistan, and to counteract the progress of Russian influence...The mode of dealing with this very important question, whether by dispatching a confidential agent to Dost Mohammed of Kabul merely to watch the progress of events, or to enter into relations with this Chief, either of a political or merely in the first instance of a commercial character, we confide in your discretion as well as the adoption of any other measures that may appear to you desirable to counteract Russian influence in that quarter, should you be satisfied...that the time has arrived at which it would be right for you to interfere decidedly in the affairs of Afghanistan. Such an interference would doubtless be requisite, either to prevent the extension of Persian dominion in that quarter or to raise a timely barrier against the impending encroachments of Russian influence. In that year, Lieutenant John Wood of the Indian Navy commanded the first steamboat to paddle up the Indus River and surveyed the river as he went. In 1838, he led an expedition that found one of the River Oxus' sources in central Asia. He published his travels in 1872. In 1837, the Russian envoy Captain Jan Vitkevitch visited Kabul, and the British believed that it was to facilitate some form of diplomatic or military presence in Afghanistan. While in Kabul, he dined with the British envoy, Captain Alexander Burnes, who reported negatively on Russia's intentions. Russia feared British inroads on their commerce in Central Asia, as well as the influence that a Muslim power with British support might have on the other khanates. In 1838, Colonel Charles Stoddart of the East India Company arrived in the Khanate of Bukhara to arrange an alliance with Nasrullah Khan. Nasrullah Khan had Stoddart imprisoned in a vermin-infested dungeon because he had not bowed nor brought gifts. In 1841, Captain Arthur Conolly arrived to try to secure Stoddart’s release. He was also imprisoned and on June 17, 1842 both men were beheaded. On hearing of the execution of the two British officers, Emperor Nicholas I of Russia would no longer receive Bukhara's gifts or emissaries, and its ambassador was turned back at Orenburg with a message that the Emperor would no longer have anything to do with the Emir of Bukhara. After its two representatives were executed in Bukhara, Britain actively discouraged officers from traveling in Turkestan. During 1838, there were rumors in London of a coming Russian move towards Khiva. Additionally, Persia intended to annex Herat to make up for territory it had lost in the Russo-Persian War (1826–28), however the allegiance of Herat to Afghanistan was crucial to the British strategy. The Siege of Herat began in November 1837 when the new Shah of Persia, Mohammed Mirza, arrived before Herat. His intention was to take Herat then move on to Kandahar. With him was the Russian Envoy Count Simonich, seconded Russian officers and a regiment of Russian deserters under the Polish general Berowski. 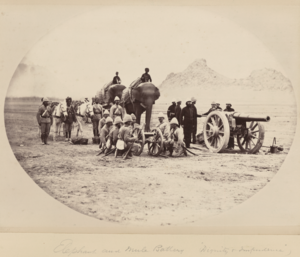 Eldred Pottinger, an officer of the Bengal Artillery, who had earlier entered Herat in disguise, stiffened the defences and despite the presence of Russian advisers the siege lasted eight months. Britain threatened to take military action and Persia withdrew in September. openly threatened...to call in every foreign aid that he could command...we could never hope that the tranquility of our neighborhood could be secured...the Governor-General confidently hopes that the Shah will speedily be replaced on his throne...the independence and integrity of Afghanistan restored, the British army will be withdrawn. British influence was to be extended into Afghanistan and it was to become a buffer state. The intention to invade was clear, and when a copy of the Manifesto reached London there was no objection. I have been struck by the magnitude of your resources, your ships, your arsenals, but what I cannot understand is why the rulers of so vast and flourishing an empire should have gone across the Indus to deprive me of my poor and barren country. In 1839, acting Captain James Abbott of the Bengal Artillery undertook a mission to the Khanate of Khiva in an attempt to negotiate the release of Russian slaves that would deny the Russians a pretext for invading Khiva. If war had already broken out, Abbot was instructed to attempt to negotiate a settlement. The attempted Russian assault on Khiva may have been in response to Britain's "forward policy" on Afghanistan, however it failed to reach Khiva due to the severe winter conditions. Of the 5,000 men who that had left Orenburg, only 4,000 returned. Abbott was hampered by a lack of understanding of Khivan language and culture, and the attempt to release Russian slaves was unsuccessful. He did agree with the Khivan ruler, Allah Quli Khan, to establishing a British agent to Khiva and to mediate between Khiva and Russia. Abbott set off from Khiva in 1840 towards Russia to commence negotiations, which he did on his own initiative and it was not authorised by his superiors. His caravan was attacked by Khazakhs and he was wounded in the hand and taken hostage, however he and his party were released because they feared retribution. He reached St Petersburg but the attempt at mediation failed. His bravery was recognized through promotion to full Captain. In the same year, Lieutenant Richmond Shakespear of the Bengal Artillery was successful in the negotiating the release of 416 Russian captives, whom he escorted into Russia. He was knighted for this undertaking. In 1843, Britain annexed the Sind. The First Anglo-Sikh War was fought between the Sikh Empire and the East India Company in 1845–1846, resulting in the partial subjugation of the Sikh kingdom. The Second Anglo-Sikh War was fought in 1848–1849, resulting in subjugation of the remainder of the Sikh Empire, and the annexation of the Punjab Province and what subsequently became the North-West Frontier Province. In 1856, Persia commenced an assault on Herat and the British Home Government declared war on Persia. The Anglo-Persian War was conducted under Major General Sir James Outram until 1857, when Persia and Britain both withdrew and Persia signed a treaty renouncing its claim on Herat. Following the Indian Rebellion of 1857, the East India Company's remaining powers were transferred to the British Crown in the person of Queen Victoria (who in 1876 was proclaimed Empress of India). As a state, the British Raj functioned as the guardian of a system of connected markets maintained by military power, business legislation and monetary management. The Government of India Act 1858 saw the India Office of the British government assume the administration of British India through a Viceroy appointed by the Crown. In 1863 Sultan Ahmed Khan of Herat, who was placed into power by Persia and issued coinage on behalf of the Shah, attacked the disputed town of Farrah. Farrah had been under Dost Mohammad Khan's control since 1856, and he responded by sending his army to defeat Herat and reunited it with Afghanistan. The Crimean War had ended in 1856 with Russia's defeat by an alliance of Britain, France, and the Ottoman Empire. The new and wary Alexander II of Russia waited some years so as not to antagonize the British, then Russia expanded into Central Asia in two campaigns. In 1864, a circular was sent to the consular officers abroad by Gorchakov, the Russian Chancellor, patiently explaining the reasons for expansion centering on the doctrines of necessity, power and spread of civilisation. Gorchakov went to great lengths to explain that Russia's intentions were meant not to antagonize the British but to bring civilised behavior and protect the traditional trade routes through the region. The first campaign started from Orenburg and proceeded in the direction of Kabul in Afghanistan. Russia occupied Chimkent in 1864, Tashkent in 1865, Khokhand and Bukhara in 1866, and Samarkand in 1868. Russia's influence now extended to outlying regions of Afghan Turkestan. The second campaign started from the Caspian Sea and was in the direction of Herat, near the Persian frontier. Khiva was occupied in 1873. Notable Russian generals included Konstantin Kaufman, Mikhail Skobelev, and Mikhail Chernyayev. From 1869 to 1872, Mir Mahmud Shar was able to gain control of the Khanate of Badakhshan with the help of Afghanistan's new ruler, Amir Sher Ali Khan, and by 1873 Afghanistan governed Badakhshan. On 21 January 1873, Great Britain and Russia signed an agreement that stipulated that the eastern Badakhshan area as well as the Wakhan Corridor to Lake Sari-Qul were Afghan territory, the northern Afghan boundary was the Amu Darya as far west as Khwaja Salar, and a joint Russian-British commission would define the boundary from the Amu Darya to the Persian border on the Harirud. However, no boundary west of the Amu Darya was defined until 1885. The agreement was regarded as having defined the British and Russian spheres of influence in Afghanistan and Central Asia, gave the two sides the legitimacy to advance within their designated zones, created cordial relations between the two rival European powers, and raised the new problem of defining what were the frontiers of Afghanistan, Russia and China in the upper Oxus region in the Pamir mountains. The agreement was negotiated by Prince Alexander Gorchakov, the lands of Badakhshan and Wakhan were accepted by Russia as part of Afghanistan, Russia accepted all of Britain's proposals on Afghanistan's northern borders and expected that Britain would keep Afghanistan from committing any aggression. However, this set in motion Russia's annexation of the Khanate of Khiva in the same year. Badakhshan would later be divided between Afghanistan and Russian-controlled Bukhara by the Pamir Boundary Commission in 1895. In 1878, Russia sent an uninvited diplomatic mission to Kabul. Sher Ali Khan, the Amir of Afghanistan, tried unsuccessfully to keep them from entering Afghanistan. The Russian envoys arrived in Kabul on 22 July 1878 and on 14 August the British demanded that Sher Ali also accept a British mission. The Amir not only refused to receive a British mission under Neville Bowles Chamberlain but threatened to stop it if it attempted to enter his country. Lord Lytton, the Viceroy of British India, ordered a diplomatic mission to set out for Kabul in September 1878 but the mission was turned back as it approached the eastern entrance of the Khyber Pass, triggering the Second Anglo–Afghan War. The Treaty of Gandamak of 1879 required that Amir Abdur Rahman Khan had to accept British control of Afghanistan's foreign relations and to cede to the British a number of its southern frontier areas, including the districts of Pishin, Sibi, Harnai, and Thal Chotiali. In the following years, other tribal areas would be annexed by the British. In 1881, Russian forces took Geok Tepe and in 1884 they occupied Merv. As the Russian forces were close to Herat, the British and Russian governments formed a joint Anglo-Russian Afghan Boundary Commission in the same year to define the borders between the Russian Empire and northern Afghanistan. In 1885, a Russian force annexed the Panjdeh district north of Herat province and its fort in what has been called the Panjdeh incident. The Afghans claimed that the people of the district had always paid tribute to Afghanistan, and the Russians argued that this district was part of the Khanates of Khiva and Merv which they had annexed earlier. The Afghan Boundary Commission was supposed to have settled the dispute, however the battle occurred before its arrival. The Afghan force of 500 was completely overwhelmed by the superior Russian numbers. Britain did not aid Afghanistan as was required by the Treaty of Gandamak, leading the Amir to believe that he could not rely on the British in the face of Russian aggression. German Chancellor Otto von Bismarck saw how important the Great Game had become for Russia and Britain. Germany had no direct stakes, however its dominance of Europe was enhanced when Russian troops were based as far away from Germany as possible. Over two decades, 1871-1890, he maneuvered to help the British, hoping to force the Russians to commit more soldiers to Asia. On September 10, 1885 the Delimitation Protocol Between Great Britain and Russia was signed in London. The protocol defined the boundary from the Oxus to the Harirud and was later followed by 19 additional protocols providing further detail between 1885-88. The Afghan Boundary Commission agreed that Russia would relinquish the farthest territory captured in their advance, but retain Panjdeh. The agreement delineated a permanent northern Afghan frontier at the Amu Darya, with the loss of a large amount of territory, especially around Panjdeh. On November 12, 1893 the Agreement Between Great Britain and Afghanistan was signed in Kabul. The Agreement reconfirmed the 1873 Agreement, required Afghanistan to withdraw from the territory north of the Amu Darya that it had occupied in 1884, and called for delimitation of the boundary east of Lake Sari. When Mortimer Durand, Secretary for State of India was appointed administrator of the Gilgit Agency (now part of the Gilgit-Baltistan of Pakistan), he opened up the region by building roads, telegraph, and mail systems while maintaining a dialogue with the Mir of Gilgit. He intended to improve the road from Kashmir through the princely states of Hunza and Nagar and up to the frontier with Russia. The Mirs of Nagar and Hunza saw this as a threat to their natural advantage of remoteness. In 1890, Durand reinforced Chalt Fort that was near the border due to the rumor that Nagar and Hunza fighters were about to attack it, and continued redeveloping the road up to the fort. In May 1891, Nagar and Hunza sent a warning to Durand not to continue work on the road to the fort and to vacate the fort, which was on the Gilgit side of the border, else they would regard it as an act of war. Durand reinforced the fort and accelerated the road construction to it, causing Nagar and Hunza to see this as an escalation and so they stopped mail from the British Resident in Chinese Turkmenistan through their territory. British India regarded this as a breach of their 1889 agreement with Hunza, and after an ultimatum was issued and ignored they initiated the Anglo-Brusho Campaign of 1891. Hunza and Nagar came under a British protectorate in 1893. A watercolor of Lake Zorkul, Pamirs, by British Army officer Thomas Edward Gordon (1874). On March 11, 1895 there was an Exchange of Notes Between Great Britain and Russia. The notes defined British and Russian spheres of influence east of Lake Sari-Qul by defining the northern boundary of the Wakhan Corridor east of the lake. This boundary was subsequently demarcated by a mixed commission. The Great Game is proposed to have ended on 10 September 1895 with the signing of the Pamir Boundary Commission protocols, when the border between Afghanistan and the Russian empire was defined. :p14 The Pamir Boundary Commission was conducted by Major-General Gerard who met with a Russian deputation under General Povalo-Shveikovsky in the remote Pamir region in 1895, who were charged with demarcating the boundary between Russian and British spheres of interest from Lake Victoria eastwards to the Chinese border. The report of the Commission proved the absolute impracticality of any Russian invasion of India through the Pamir mountains. The result was that Afghanistan became a buffer state between the two powers. It was agreed that the Amu Darya river would form the border between Afghanistan and the Russian empire. Russia gained full possession of all of the Pamir Mountains, except for Taghdumbash, which would be the subject of a later Afghan-China agreement. To conclude their agreement, one peak was named Mount Concord. In exchange for a British agreement to use the term Nicholas Range in honor of the Emperor Nicholas II of Russia on official maps, the Russians agreed to refer to Lake Zorkul as Lake Victoria in honor of Queen Victoria of England. The Russians had gained all of the lands North of the Amu Darya which included the land claimed by the Khanate of Khiva, including the approaches to Herat, and all of the land claimed by the Khanate of Khoqand, including the Pamir plateau. To ensure a complete separation, this new Afghan state was given an odd eastern appendage known as the Wakhan Corridor. "In setting these boundaries, the final act of the tense game played out by the British and Russian governments came to a close." The timing of the beginning and end of the Great Game is not completely agreed. One author believes that the Great Game commenced with Russia's victory in the Russo-Persian War (1804–13) and the signing of the Treaty of Gulistan of 1813 or the Treaty of Turkmenchay of 1828. Another believes that it began between 1832–34 as an attempt to negotiate trade deals with Ranjit Singh and the Amirs of Sind. Another believes that it started in the aftermath of the Crimean war (1853–6) and Caucasus war (1828–59). :94 One author proposes that The Great Game was over at the end of the First Anglo-Afghanistan war in 1842 with the British withdrawal from Afghanistan. Some authors believe that the Great Game came to a close with the three Anglo-Russian agreements of 1907 which delineated the spheres of interest between British India and Russian Central Asia in the borderland areas of Persia, Afghanistan, and Tibet. :276–298 Another that it was trailing off not long after that time, and another with the Bolshevik Revolution in 1917 and the end of Russia's interest in Persia. One has stated that unofficially, the Great Game in Central Asia might never end. One author proposes that Britain lost The Great Game. "The Great Game was an aspect of British history rather than international relations: the phrase describes what the British were doing, not the actions of Russians and Chinese." The Great Game was an attempt made in the 1830s by the British to impose their view on the world. If Khiva and Bukhara were to become buffer states, then trade routes to Afghanistan, as a protectorate, along the Indus and Sutlej rivers would be necessary and therefore access through the Sind and Punjab regions would be required. The Great Game began between 1832–34 as an attempt to negotiate trade deals with Ranjit Singh and the Amirs of Sind, and the "first interruption of this magnificent British daydream was caused by the determination of the Amirs of Sind to be left alone." Its failure occurred at the end of the First Anglo-Afghanistan war in 1842 with the British withdrawal from Afghanistan. The failure to turn Afghanistan into a client state meant that The Great Game could not be won.
' Our relations with Afghanistan in the forty years between 1838 and 1878 were successively those of blundering interference and of unmasterly inactivity. Kipling's use of the term was entirely fictional, "..because the Great Game as it is described in the novel did never exist; it is almost entirely Kipling's invention. At the time when the story is set (i.e. in the late Eighties), Britain did not have an intelligence service, nor an Ethnographical Department; there was only a governmental task force called 'Survey of India' that was entrusted with the task of charting all India in response to a typically English anxiety of control." Two authors have proposed that The Great Game was a legend and that the British Raj did not have the capacity to conduct such an undertaking. An examination of the archives of the various departments of the Raj showed no evidence of a British intelligence network in Central Asia. At best, efforts to obtain information on Russian moves in Central Asia were rare, ad hoc adventures and at worst intrigues resembling the adventures in Kim were baseless rumours, and that such rumours "were always common currency in Central Asia and they applied as much to Russia as to Britain". After two British representatives were executed in Bukhara in 1842, Britain actively discouraged officers from traveling in Turkestan. Later, the same author proposed that Russia never had the will nor ability to move on India, nor India the capability to move on Central Asia. Russia did not want Afghanistan, considering their initial failure to take Khiva and the British debacle in the First Anglo-Afghan War. In order to invade Afghanistan they would first require a forward base in Khorasan, Persia. St. Petersburg had decided by then that a forward policy in the region had failed but one of non-intervention appeared to work. It has been argued that the Russian military advances in Central Asia were advocated and executed only by irresponsible Russians or enthusiastic governors of the frontier provinces. Others suggest that The Great Game was all a figment of the over-excited imaginations of a few jingoist politicians, military officers and journalists on both sides. The use of the term The Great Game to describe Anglo-Russian rivalry in Central Asia became common only after the Second World War. It was rarely used before that period. Another author proposed that some Britons had used the term The Great Game in the late 19th century to describe several different things in relation to its interests in Asia, but the primary concern of British authorities in India was the control of the indigenous population and not preventing a Russian invasion. Mail communications between London and Calcutta could take as long as three months either way. Long distance telegraph lines were built across Russia in the 1850s. In 1870, the Indo-European Telegraph Line was completed and it provided a communication link between London and Calcutta after passing through Russia. For the first time, the India Office within the British Foreign Office could telegraph its orders and have them acted on in a timely manner. The home office now had complete control over foreign policy in India and the Governor-General of India lost the discretion that they once enjoyed. In 1868, Russia moved against Bukhara and occupied Samarkand. Prince Gorchakov wrote in the Gorchakov Memorandum of 1874 that the Russian Ambassador to Britain offered an explanation that satisfied Clarendon, the British Foreign Secretary. Clarendon replied that the rapid advance of Russian troops neither alarmed nor surprised the British Government, however it did the British public and the Indian Government. Clarendon proposed a neutral zone between Britain and Russia in the region, a view that was shared by the Russian Government. This led to a confidential meeting in Wiesbaden between Clarendon and Count Brunow, the Russian Imperial Secretary. After the signing of the Anglo-Russian Agreement of 1873 that was followed by Russia's occupation of Khiva, Gorchakov wrote in the Gorchakov Memorandum of 1874 that "Although...the Khanate of Khiva remained entirely in our sphere of action, we thought we would make an act of courtesy of not adopting any decisive measure against Khiva before having informed Britain of it." In November 1874, Lord Augustus Loftus, British ambassador to Russia called on Russia's V. Westmann, Acting Minister for Foreign Affairs, and told him that "The advance of Russia in Central Asia of late years was a subject of watchful interest, although it was not one of either jealousy or fear to the Government of India." In December 1874, long before Russia annexed Merv in 1884, Northbrook, the Viceroy of India, wrote to Salisbury, the Secretary of State for India, that he accepted an eventual Russian annexation of Merv. In the following year he wrote to Rawlinson, a member of the Council of India, "Our engagement with Russia with respect to the frontier of Afghanistan precludes us from promoting the incorporation of the Turkomans of Merv in the territories subject to the Ameer of Kabul". Northbrook would not accept any extension of Persia towards Merv. It has been proposed that from Sher Ali's (Afghanistan's) point of view, prior to the invasion of Afghanistan by Britain in the Second Anglo-Afghan War of 1878, that there was evidence of the beginnings of a growing understanding between Britain and Russia to divide Central Asia between themselves. The pessimistic belief of resource scarcity emerged once again in the 1990s, and with it the hope that the newly independent states of Central Asia and the Caucasus would provide a resource boom - the new "Persian Gulf" - and with it competition for oil and gas in a 21st-century version of The Great Game. These expectations were not supported by the facts, and came with an exaggeration of the region's commercial and geopolitical value. Since that time, some journalists have used the expression The New Great Game to describe what they proposed was a renewed geopolitical interest in Central Asia because of the mineral wealth of the region, which was at that time becoming more available to foreign investment after the end of the Soviet Union. One journalist linked the term to an interest in the region's minerals and another to its minerals and energy. Other authors disagree with these views. One strategic analyst has written that the Central Asian states are not pawns in any game and the so-called "New Great Game" is a misnomer that has not eventuated. Rather than two empires focused on the region as in the past, there are now many global and regional powers active with the rise of China and India as major economic powers. The emergence of Russia from a local-level player to an international-level one has seen Russia regarded as not an offensive power by the Central Asian states, which have diversified their political, economic, and security relationships. Other authors have written that the "Great Game" or the "New Great Game" implies that the Central Asian states are passive pawns in the hands of more powerful states. However, their membership of the Shanghai Cooperation Organization, established in 2001, shows that they have gained a degree of real independence, with China offering a predictability unknown in the "Great Game". The Great Game has been described as a cliché-metaphor, and there are authors who have now written on the topics of "The Great Game" in Antarctica, the world's far north, and in outer space. The song "Pink India" from musician Stephen Malkmus' self-titled album. The travelogue documentary The Devil's Wind by Iqbal Malhotra follows in the footsteps of Kipling's Great Gamers. ^ a b c Ewans 2004, p. 1. ^ a b Becker 2005, p. 47. ^ a b Gerard, M. G., "Report on the proceedings of the Pamir Boundary Commission (1897)". Digitized Afghanistan Materials in English from the Arthur Paul Afghanistan Collection. Paper 25. ^ a b Gebb, Michael (1983). "Review:Anglo-Russian Rivalry in Central Asia, 1810-1895". UCLA Historical Journal 4(0). 4: 130–132. (..) "The final balance was formalized by the Joint Pamirs Boundary Commission in 1895." ^ a b c d Morgan 1981, p. 231. ^ a b c d e f Middleton, Robert (2005). "The Earl of Dunmore 1892-93" (PDF). Pamirs Org. a commentary on "The Pamirs; being a Narrative of a Year's Expedition on Horseback and Foot through Kashmir, Western Tibet, Chinese Tartary and Russian Central Asia" by Charles Adolphus Murray, the Eighth Earl of Dunmore. ^ Seymour Becker, "The ‘great game’: The history of an evocative phrase." Asian Affairs 43.1 (2012): 61-80. ^ Yapp 2000, pp. 183. ^ a b Yapp 2000, pp. 181. ^ a b Morgan 1973, pp. 55-65. ^ Yapp 2000, pp. 180. ^ a b c d Konstantin Penzev (2010). "When Will the Great Game End?". Oriental Review Org. web article, no page numbers. ^ Ewans 2004, p. 46. ^ The Great Game: Britain and Russia in Central Asia. Edited by Martin Ewans. Volume II: Travels in Beloochistan and Sinde, by Henry Pottinger. First published by Longman, London, 1816. This edition by RoutledgeCurzon, Milton Park, England 2004. ISBN 0415316405. ^ Morgan 1981, p. 37. ^ Becker 2005, p. 9. ^ a b c d e Mahajan 2001, p. 13. ^ Becker 2005, p. xvi. ^ a b Becker 2005, p. 10. ^ Becker 2005, p. 12. ^ a b c Ewans 2002, p. 66. ^ A Journey from Bengal to England through the Northern part of India, Kashmire, Afghanistan, and Persia, and into Russia by the Caspian Sea by George Forster. Volume 1 1798 and Volume 2 1808 R.Faulding, London. ^ Narrative of Various Journeys in Balochistan, Afghanistan and the Panjab: Including a Residence in Those Countries from 1826-1838 Charles Masson. Richard Bentley, London 1842-3. 4 volumes. ^ Ewans 2002, p. 85. ^ Journey to the Source of the River Oxus by Captain John Wood. John Murray, London, 1872. ^ a b c Yapp 2000, pp. 190. ^ Morgan 1981, p. 20-24. ^ Ewans 2002, p. 51. ^ a b Ewans 2002, p. 61-62. ^ Ewans 2002, p. 60-62. ^ a b Ewans 2002, p. 70. ^ "No. 20012". The London Gazette. 31 August 1841. p. 2203. ^ Baten, Jörg (2016). A History of the Global Economy. From 1500 to the Present. Cambridge University Press. p. 253. ISBN 9781107507180. ^ Ewans 2012, p. 153. ^ a b c Ewans 2012, p. 158. ^ Ewans 2012, p. 150. ^ Barthorp, Michael (2002) . Afghan Wars and the North-West Frontier 1839–1947. London: Cassell. pp. 66–67. ISBN 978-0-304-36294-3. ^ a b Yate, Lieutenant Arthur Campbell. England and Russia Face to Face in Asia: Travels with the Afghan Boundary Commission. W. Blackwood & Sons, Edinburgh, 1887. ^ a b Yate, Major Charles Edward. Northern Afghanistan; Or, Letters from the Afghan Boundary Commission W. Blackwood & Sons, Edinburgh & London, 1888. ^ Ewans 2012, p. 123-135. ^ Afghanistan, Baluchistan, Kashmir, Chitral, Gilgit, Pamirs and North-West Frontier: Summary of Diary for August 1895. p. 4. Public Record Office. Russia.Proceedings in Central Asia 1873-1898. F.O. 65/1507. ^ "Enclosure No. 8. No. 179, dated Lake Victoria, the 28th July 1895 (Confidential). From Major-General M. G. Gerard, C. B. To the Secretary to the Government of India, Foreign Department." Record Office. Russia. Proceedings in Central Asia 1873-1898. PRO/FO 65/1506. pp. 336-337. ^ Kim, by Rudyard Kipling (London: Macmillan, 1949). ^ George N. Curzon, Russia in Central Asia in 1889 and the Anglo-Russian Question, London 1889, pp.356-7. ^ Morgan 1981, pp. 213. ^ Mahajan 2001, p. 56. ^ Yapp 2000, pp. 187. ^ a b Yapp 2000, pp. 198. ^ Ewans 2002, p. 62. ^ Ewans 2012, p. 154. ^ Minute by Viceroy, encl. No. 123 of 1875, Government of India, Foreign Department (Political), to Salisbury, 7 June 1875, N.P.123. ^ The Editor. The New Great Game in Asia. 2 January 1996. ^ Kleveman, Lutz (2004). The New Great Game: Blood and Oil in Central Asia. Atlantic Monthly Press. p. 288. ISBN 9780871139061. ^ Wahlberg, E. (2011). Postmodern Imperialism: Geopolitics and the Great Games. Clarity Press. ISBN 978-0983353935. ^ Ajay Patnaik (2016). Central Asia: Geopolitics, Security and Stability. Taylor & Francis Group. pp. 28–29. ISBN 9781317266402. ^ David Gosset, 2010. Beyond the "Great Game" stereotype, the "Zhang Qian's Diplomacy" Archived 19 August 2016 at the Wayback Machine. ^ Sam Miller. A Strange Kind of Paradise: India Through Foreign Eyes. Vintage Books, London 2014. p286. ^ Dodds, Klaus (2008). "The Great Game in Antarctica: Britain and the 1959 Antarctic Treaty". Contemporary British History. 22: 43–66. doi:10.1080/03004430601065781. ^ Scott G. Borgerson. The Great Game Moves North. Foreign Affairs. ^ Easton, Ian. The New Great Game in Space. The Project 2049 Institute. Becker, Seymour. "The ‘great game’: The history of an evocative phrase." Asian Affairs 43.1 (2012): 61-80. Ingram, Edward. Commitment to Empire: Prophecies of the Great Game in Asia, 1797-1800 (1981) 431pp. Central Asia: Afghanistan and Her Relation to British and Russian Territories from 1885.